Lease for $463/month for 39 months with $3,642 due at signing including $0 Security Deposit and 10,000 miles per year. Payment expires on 04/30/19. Estimated Lease payment based on 39 months and $3,642 due at lease signing. Cash due at signing includes $3,179 capitalization cost reduction, which includes $650 acquisition fee, plus a required security deposit of $0, and first month's lease payment of $463. Excludes title, taxes, registration, and license fees. Total monthly payments equal $21,219. Mileage charge of $0.25 per mile over 10,000 miles. Not all consumers will qualify. Residency restrictions may apply. Lease for $473/month for 39 months with $3,727 due at signing including $0 Security Deposit and 10,000 miles per year. Payment expires on 04/30/19. Estimated Lease payment based on 39 months and $3,727 due at lease signing. Cash due at signing includes $3,254 capitalization cost reduction, which includes $650 acquisition fee, plus a required security deposit of $0, and first month's lease payment of $473. Excludes title, taxes, registration, and license fees. Total monthly payments equal $21,699. Mileage charge of $0.25 per mile over 10,000 miles. Not all consumers will qualify. Residency restrictions may apply. Lease for $487/month for 39 months with $3,839 due at signing including $0 Security Deposit and 10,000 miles per year. Payment expires on 04/30/19. Estimated Lease payment based on 39 months and $3,839 due at lease signing. Cash due at signing includes $3,352 capitalization cost reduction, which includes $650 acquisition fee, plus a required security deposit of $0, and first month's lease payment of $487. Excludes title, taxes, registration, and license fees. Total monthly payments equal $22,331. Mileage charge of $0.25 per mile over 10,000 miles. Not all consumers will qualify. Residency restrictions may apply. Lease for $478/month for 39 months with $3,761 due at signing including $0 Security Deposit and 10,000 miles per year. Payment expires on 04/30/19. Estimated Lease payment based on 39 months and $3,761 due at lease signing. Cash due at signing includes $3,284 capitalization cost reduction, which includes $650 acquisition fee, plus a required security deposit of $0, and first month's lease payment of $478. Excludes title, taxes, registration, and license fees. Total monthly payments equal $21,894. Mileage charge of $0.25 per mile over 10,000 miles. Not all consumers will qualify. Residency restrictions may apply. Lease for $496/month for 39 months with $4,269 due at signing including $0 Security Deposit and 10,000 miles per year. Payment expires on 04/30/19. Estimated Lease payment based on 39 months and $4,269 due at lease signing. Cash due at signing includes $3,774 capitalization cost reduction, which includes $650 acquisition fee, plus a required security deposit of $0, and first month's lease payment of $496. Excludes title, taxes, registration, and license fees. Total monthly payments equal $23,096. Mileage charge of $0.25 per mile over 10,000 miles. Not all consumers will qualify. Residency restrictions may apply. Lease for $503/month for 39 months with $4,332 due at signing including $0 Security Deposit and 10,000 miles per year. Payment expires on 04/30/19. Estimated Lease payment based on 39 months and $4,332 due at lease signing. Cash due at signing includes $3,830 capitalization cost reduction, which includes $650 acquisition fee, plus a required security deposit of $0, and first month's lease payment of $503. Excludes title, taxes, registration, and license fees. Total monthly payments equal $23,424. Mileage charge of $0.25 per mile over 10,000 miles. Not all consumers will qualify. Residency restrictions may apply. 1Not available with special finance or lease offers. See dealer for details. 2Not compatible with special finance, lease and some other offers. Take delivery by 04-30-2019. 3Not available with special finance or lease offers. See dealer for details. Lease for $466/month for 39 months with $4,029 due at signing including $0 Security Deposit and 10,000 miles per year. Payment expires on 04/30/19. Estimated Lease payment based on 39 months and $4,029 due at lease signing. Cash due at signing includes $3,564 capitalization cost reduction, which includes $650 acquisition fee, plus a required security deposit of $0, and first month's lease payment of $466. Excludes title, taxes, registration, and license fees. Total monthly payments equal $21,721. Mileage charge of $0.25 per mile over 10,000 miles. Not all consumers will qualify. Residency restrictions may apply. Lease for $488/month for 39 months with $3,929 due at signing including $0 Security Deposit and 10,000 miles per year. Payment expires on 04/30/19. Estimated Lease payment based on 39 months and $3,929 due at lease signing. Cash due at signing includes $3,442 capitalization cost reduction, which includes $650 acquisition fee, plus a required security deposit of $0, and first month's lease payment of $488. Excludes title, taxes, registration, and license fees. Total monthly payments equal $22,463. Mileage charge of $0.25 per mile over 10,000 miles. Not all consumers will qualify. Residency restrictions may apply. Lease for $489/month for 39 months with $3,935 due at signing including $0 Security Deposit and 10,000 miles per year. Payment expires on 04/30/19. Estimated Lease payment based on 39 months and $3,935 due at lease signing. Cash due at signing includes $3,447 capitalization cost reduction, which includes $650 acquisition fee, plus a required security deposit of $0, and first month's lease payment of $489. Excludes title, taxes, registration, and license fees. Total monthly payments equal $22,497. Mileage charge of $0.25 per mile over 10,000 miles. Not all consumers will qualify. Residency restrictions may apply. 1Not compatible with special finance, lease and some other offers. Take delivery by 04-30-2019. 2Not available with special finance or lease offers. See dealer for details. 3Not available with special finance or lease offers. See dealer for details. 4Not available with special finance or lease offers. See dealer for details. Lease for $550/month for 39 months with $4,632 due at signing including $0 Security Deposit and 10,000 miles per year. Payment expires on 04/30/19. Estimated Lease payment based on 39 months and $4,632 due at lease signing. Cash due at signing includes $4,083 capitalization cost reduction, which includes $650 acquisition fee, plus a required security deposit of $0, and first month's lease payment of $550. Excludes title, taxes, registration, and license fees. Total monthly payments equal $25,495. Mileage charge of $0.25 per mile over 10,000 miles. Not all consumers will qualify. Residency restrictions may apply. Lease for $525/month for 39 months with $4,237 due at signing including $0 Security Deposit and 10,000 miles per year. Payment expires on 04/30/19. Estimated Lease payment based on 39 months and $4,237 due at lease signing. Cash due at signing includes $3,713 capitalization cost reduction, which includes $650 acquisition fee, plus a required security deposit of $0, and first month's lease payment of $525. Excludes title, taxes, registration, and license fees. Total monthly payments equal $24,171. Mileage charge of $0.25 per mile over 10,000 miles. Not all consumers will qualify. Residency restrictions may apply. Lease for $515/month for 39 months with $4,156 due at signing including $0 Security Deposit and 10,000 miles per year. Payment expires on 04/30/19. Estimated Lease payment based on 39 months and $4,156 due at lease signing. Cash due at signing includes $3,642 capitalization cost reduction, which includes $650 acquisition fee, plus a required security deposit of $0, and first month's lease payment of $515. Excludes title, taxes, registration, and license fees. Total monthly payments equal $23,722. Mileage charge of $0.25 per mile over 10,000 miles. Not all consumers will qualify. Residency restrictions may apply. Lease for $535/month for 39 months with $4,318 due at signing including $0 Security Deposit and 10,000 miles per year. Payment expires on 04/30/19. Estimated Lease payment based on 39 months and $4,318 due at lease signing. Cash due at signing includes $3,784 capitalization cost reduction, which includes $650 acquisition fee, plus a required security deposit of $0, and first month's lease payment of $535. Excludes title, taxes, registration, and license fees. Total monthly payments equal $24,617. Mileage charge of $0.25 per mile over 10,000 miles. Not all consumers will qualify. Residency restrictions may apply. Lease for $538/month for 39 months with $4,342 due at signing including $0 Security Deposit and 10,000 miles per year. Payment expires on 04/30/19. Estimated Lease payment based on 39 months and $4,342 due at lease signing. Cash due at signing includes $3,805 capitalization cost reduction, which includes $650 acquisition fee, plus a required security deposit of $0, and first month's lease payment of $538. Excludes title, taxes, registration, and license fees. Total monthly payments equal $24,751. Mileage charge of $0.25 per mile over 10,000 miles. Not all consumers will qualify. Residency restrictions may apply. Lease for $532/month for 39 months with $4,297 due at signing including $0 Security Deposit and 10,000 miles per year. Payment expires on 04/30/19. Estimated Lease payment based on 39 months and $4,297 due at lease signing. Cash due at signing includes $3,765 capitalization cost reduction, which includes $650 acquisition fee, plus a required security deposit of $0, and first month's lease payment of $532. Excludes title, taxes, registration, and license fees. Total monthly payments equal $24,501. Mileage charge of $0.25 per mile over 10,000 miles. Not all consumers will qualify. Residency restrictions may apply. Lease for $513/month for 39 months with $4,456 due at signing including $0 Security Deposit and 10,000 miles per year. Payment expires on 04/30/19. Estimated Lease payment based on 39 months and $4,456 due at lease signing. Cash due at signing includes $3,943 capitalization cost reduction, which includes $650 acquisition fee, plus a required security deposit of $0, and first month's lease payment of $513. Excludes title, taxes, registration, and license fees. Total monthly payments equal $23,950. Mileage charge of $0.25 per mile over 10,000 miles. Not all consumers will qualify. Residency restrictions may apply. Lease for $517/month for 39 months with $4,491 due at signing including $0 Security Deposit and 10,000 miles per year. Payment expires on 04/30/19. Estimated Lease payment based on 39 months and $4,491 due at lease signing. Cash due at signing includes $3,974 capitalization cost reduction, which includes $650 acquisition fee, plus a required security deposit of $0, and first month's lease payment of $517. Excludes title, taxes, registration, and license fees. Total monthly payments equal $24,131. Mileage charge of $0.25 per mile over 10,000 miles. Not all consumers will qualify. Residency restrictions may apply. Lease for $556/month for 39 months with $4,496 due at signing including $0 Security Deposit and 10,000 miles per year. Payment expires on 04/30/19. Estimated Lease payment based on 39 months and $4,496 due at lease signing. Cash due at signing includes $3,941 capitalization cost reduction, which includes $650 acquisition fee, plus a required security deposit of $0, and first month's lease payment of $556. Excludes title, taxes, registration, and license fees. Total monthly payments equal $25,607. Mileage charge of $0.25 per mile over 10,000 miles. Not all consumers will qualify. Residency restrictions may apply. Lease for $643/month for 39 months with $5,310 due at signing including $0 Security Deposit and 10,000 miles per year. Payment expires on 04/30/19. Estimated Lease payment based on 39 months and $5,310 due at lease signing. Cash due at signing includes $4,667 capitalization cost reduction, which includes $650 acquisition fee, plus a required security deposit of $0, and first month's lease payment of $643. Excludes title, taxes, registration, and license fees. Total monthly payments equal $29,733. Mileage charge of $0.25 per mile over 10,000 miles. Not all consumers will qualify. Residency restrictions may apply. Lease for $535/month for 39 months with $4,633 due at signing including $0 Security Deposit and 10,000 miles per year. Payment expires on 04/30/19. Estimated Lease payment based on 39 months and $4,633 due at lease signing. Cash due at signing includes $4,099 capitalization cost reduction, which includes $650 acquisition fee, plus a required security deposit of $0, and first month's lease payment of $535. Excludes title, taxes, registration, and license fees. Total monthly payments equal $24,928. Mileage charge of $0.25 per mile over 10,000 miles. Not all consumers will qualify. Residency restrictions may apply. Looking for a vehicle that sets the standard in its class? Look no further than the new Cadillac CT6 Sedan available at our dealership in Madison. The vehicle tops its class when it comes to providing an eye-pleasing exterior or technologically advanced interior. Call our dealership to learn more about all the amazing features that the new Cadillac CT6 Sedan, available in Madison, offers. Our staff will be more than happy to help you have a pleasant shopping time. With a huge inventory of new Cadillac CT6 Sedan models in Madison, you are sure to find the one that suits your needs the best. Bergstrom Cadillac of Madison offers a great selection of new Cadillac CT6 Sedan vehicles for sale in Madison, WI. Our new vehicle inventory is one of the largest in the state of Wisconsin. 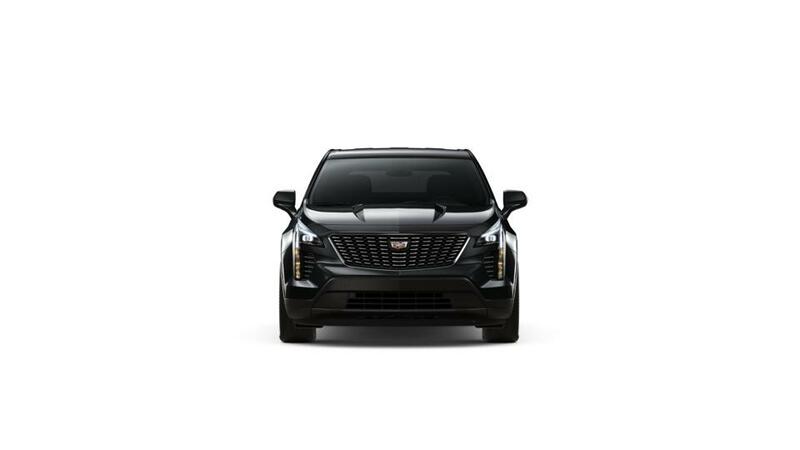 If you're shopping from Sun Prairie or Janesville we encourage you to shop our entire inventory of new Cadillac vehicles and visit us for a test drive when you've found a model that suits you. Sort by color, trim, features, price and more by choosing from the filters above to find the perfect vehicle that has everything you need. You can also apply for financing directly from our website, and don't hesitate to call us at (866) 462-6412 or contact us online with any questions you have.